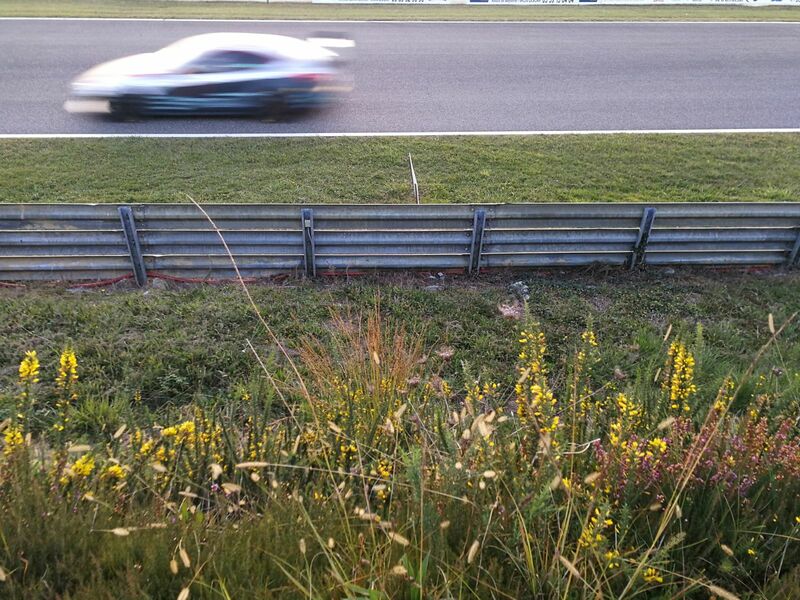 Electric GT has had a difficult start in life – which is the way that any motorsport series begins, the industry being what it is. But today they’ve finally announced FIA sign off on the sporting regulations for their international championship, the Electric Production Car Series. For full disclosure: when I first heard of Electric GT, I almost immediately threw my money at it. For several reasons; one, I love GT racing. Two, I love electric racing and furthering electric vehicles as the peak of desirable road cars is extremely important to me, if we’re going to make any stab at the future. Three, two of my favourite female drivers were associated with the series and well, take my money already. There’s a massive amount I really like about Electric GT; it’s deliberately, confrontationally disruptive – interested in using the technology for radical good, in using the hot passion of racing to push forwards rather than the standstill, circular attitudes that too often blight motorsport and which have turned my Twitter mentions into a bombsite after F1 decided not to book grid girls next year. Mark himself is a thinker and a doer, the sort of gritty, sheer determination that let Alejandro Agag push and shove and insist Formula E into existence and then dominance very obvious in him. Everyone involved is there for the right reasons – sustainability, technological development and a serious desire to put on a spectacular racing event. Formula 1 just woke up to the idea of integrating gaming to its main events, after years of the game and eSports events around it almost outselling the original series, where Electric GT has built in gaming from the start. Acknowledging the extreme challenges Formula E has faced in going street racing, Electric GT opted to work with circuits and bring electric motorsport to the traditional homes of car racing. They aren’t making random or stupid decisions, largely driven by pragmatism and opportunities for cooperation. You’re probably wondering where the ‘but’ in this is. Electric GT has a mission to offer new, road-ready tech, directly applicable technologies and sustainable mobility on a meaningfully accessible scale. It’s going to bring the technology to you. 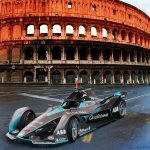 In that, it makes a lot of sense that the first championship it has announced as being signed off by the FIA for international competition is the Electric Production Car championship – literally using cars that you can buy and drive on the road. In this case, the car is the Tesla Model S P100D, modified to FIA crash test-assured safety standards. A roll cage and escape hatch have been fitted, some form of survival cell or driver protection will have been put in to protect against electrical shocks, evacuation procedure will have been confirmed. So it’s not exactly as it would be out of a dealership but as close as it safely can be. P100s are big ol cars – they weigh over two metric tonnes (2,241kg) in their unmodified state and although the race-readied cars will have had some weight stripped out, huge parts of that are the power train and battery. Tesla aren’t really in the business of making light, European cars unless you count the Roadster and these things are going to look pretty incredible racing on the relatively tight tracks of European circuits. 20 of them together, across 10 professional teams, according to Electric GT’s release. If you speak to any professional or up-and-coming driver these days, the consensus is that the future is electric. For any series – whether it’s a grudging acceptance of increasing hybrid tech at the top levels of both single seaters and sports cars or an open-armed acceptance and eagerness to be involved with electric developments. I don’t think there is going to be a challenge filling this grid – or even acquiring sponsors. Drivers want development opportunities, that means going to the cutting edge of technology, which now means ultra-hybrid and electric. Back in November I went to Electric GT’s launch weekend – and returned with mixed enough thoughts that I, along with a lot of people, never quite seemed to write it up – and suddenly we all are. It felt mean to do it at the time. Over the course of two days I went from cynicism to insistent ebullience about the series through to abject despair. I’d turned cynical purely through lack of information, then suddenly it was clear there were teams and drivers and technologists and sponsors joining the series left, right and centre. So enter the insistent ebullience, buoyed by the fact they’d got the prototype – and some really interesting partners there that were smartly and interestingly solving problems – take BComp, a Swiss company that make carbon-fibre grade compounds out of hemp that, on impact, will tear rather than shattering. Anyone who’s ever seen GT racing, especially with big cars like the Model S, will know that the idea of bodywork that might not explode into a thousand tyre-rupturing parts on every corner could save everyone a heck of a lot of time. And crucially, be very light, which can only be beneficial on a two-tonne car. And they had the eSport – at the open day, there were more local teenagers from Pau who’d come to the circuit to compete in the eSports competition than there were maybe people interested in the track action. That’s not even a problem, that’s a great thing; as I said at the time, it’s not actually inconceivable the eSport element of the championship (which needs quite a lot of its own kinks worked out but is at least structurally there) could attract sponsorship to fund the main race series. You’re still waiting for the ‘but’ – here it is: the thing that saw me slide into despair as we headed towards the end of the second day was that the car could not manage more than one hot lap. At first we just thought the P80 prototype had had too hard a life thus far and was beginning to show the sort of signs of damage something that had run miles and miles of testing would. If it had been that it would have been disappointing – but we already knew it was underpowered and low-specced compared to the final product. What was actually happening, however is that the Tesla software was shutting the car down to a limited power usage level. Tesla cars are very smart and they know what you’re doing with them, it lets them balance the regeneration of the power train and maximise power train and battery life, it lets them extend range and work efficiently way beyond most electric cars – it’s what makes them Tesla, really. They’re otherwise working with frankly pretty similar bits to most other cars. Most cars, all race cars, are heavily software engineered these days. Traditionally, you (a team or indeed manufacturer) buy a GT car for racing – say an Aston Martin or something – and you take it to a company like Prodrive and they get in some other engineers from some software that fundamentally turns it into a race car with modes and functions that push it way beyond what a production car will do – oh, I’ve just said ‘production car’ and kinda hit the spoiler here. This is an actual production, actual road car championship, as I said above: there’s nothing wrong with that. But that bit I mentioned in the last paragraph where the cars are switched up to race isn’t going to happen; the P100D has a ‘ludicrous mode’ for ultra high performance (of up to 585kW output) but if the battery overheats severely it’s going to shut itself down into power-limited mode, because it doesn’t know its meant to be a race car and can push itself to harder limits. That’s not necessarily a bad thing. 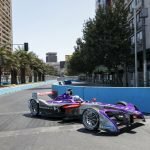 It’s kind of an outrageously ballsy thing – Tesla have famously been outrageously dismissive of motorsport as a driving factor for automotive technology (although they do advertise heavily at Formula E events…) so there’s something incredibly pleasing about kind of physically hacking the cars into it. But the fact remains that the software is so powerful that working round it will be one of the main factors to the driving. Again, maybe no bad thing – this will be expert drivers extracting the absolute maximum from cars that you, too, could drive (assuming you’ve got a fair amount of money) – which is exciting. But complicated. And why even the simplified rules for the Electric Production Car Series (as it is now known) look so complicated – 585kW maximum output but 300kW rating? You’d be forgiven for not quite following what that is, which is that the overall average output needs to be around 300kW or else the car is going to rebel against you. Teams and drivers in this championship are going to face unique challenges – from the fact the Tesla will need taking to a dealership if it needs repairs (and I’m not totally sure how some of the damage might be explained…) in order to convince the software that the car is safe to run, even if the physical damage is non-specialist. Then there’s actually running the program of the races – which include multiple sessions per weekend, all of which you might find the car trapped in a previous mode from. It’s definitely going to be unique. Thinking back to the launch, though; one of the drivers that made me want to throw my own, hard-earned freelancer’s cash at this series was Emma Kimilainen, a great GT and touring car racer. After some fairly fruitless test laps amongst the assembled drivers, where the battery output limitation just kept happening, Emma got in the car for a few rounds; within 15 minutes she’d worked out a way to stop the limiter kicking in, while still running fairly hot laps. She was signed immediately, as you’d imagine and I’m sure she worked on the crash prototype. When I started writing this, reading through the specs of the series, I was genuinely worried. But I think even in considering it I’ve talked myself round again: this is going to be a very unusual race series but then, it wouldn’t be very interesting if it wasn’t, would it? Every encounter I have with Electric GT – now Electric Production Car Series – leaves me almost whiplashed with investigative cynicism that somehow, the series and its participants and its advocate CEO and its weird, plucky spirit manage to reverse into optimism. Maybe I just have a strong soft spot for underdogs but there’s something kind of brilliant about that, to me – and as Mark said the first time I spoke to him, the purpose of electric racing is to offer hope. And in a format I didn’t expect, in ways I didn’t think it would be able to overcome, this is.